The man appeared at locations where the elder daughter of the 44th president was interning on April 10, 11 and 12, the sources said. Authorities are investigating an alleged stalker who showed up at Malia Obama's workplace in Manhattan on three separate days earlier this month with a sign proposing marriage, law enforcement sources said. Jair Nilton Cardoso appeared at locations where the elder daughter of the 44th president was interning on April 10, 11 and 12, the sources said. In the first instance he even slipped past security at a building in Tribeca, got to the fourth floor and begged Malia to marry him, according to the sources. He reportedly wanted to marry Malia so he could get to former President Barack Obama and ask for some kind of help for his country, sources said. He hasn't made any verbal threats to her, according to sources, but the frequent run-ins have raised concerns. The Secret Service detained Cardoso and took him to the NYPD's First Precinct, which in turn referred him to Kings County Hospital for evaluation, according to the sources. No charges were pending against him Wednesday evening, sources said. 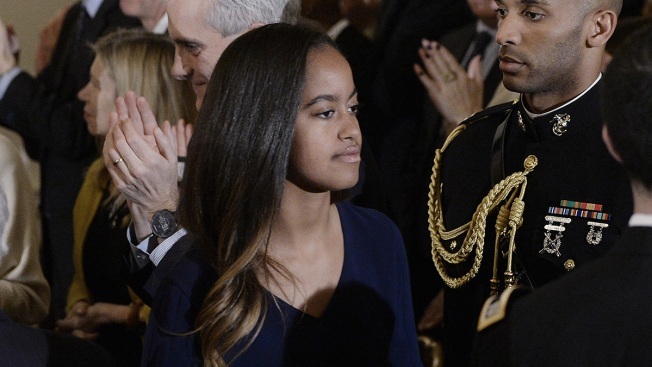 Malia Obama still qualifies for Secret Service protection under a recently signed executive order. Former NYPD sergeant and FBI special agent Manny Gomez said there is reasonable fear for Malia's safety and that is the classification of stalking under New York State law. "I'm sure an order of protection will be served in the not so distance future," Gomez said. It was not immediately clear where Cardoso was as of late afternoon Wednesday. The NYPD referred inquiries to the Secret Service, who said "we don't discuss our protective operations." The Manhattan district attorney's office declined comment. There were media reports that Cardoso was known to the Secret Service from previous appearances at the White House during the Obama administration, though he has no record of arrests, according to court information, in Washington, D.C.